There’s many ways to lose weight fast, but that does mean it is safe, or if it will even last. In desperate times, people go to extreme measures to lose weight. Many people are constantly searching for that “quick fix” or that magic diet pill. While all the methods below WILL get results, they are not lasting results and many times they backfire. And in the end, you end up tipping the scales heavier than when you started! 1) Fad diets: You’ve heard the term yo-yo dieting? This happens when you attempt a strict diet, lose a bunch of weight, and then go back to eating normally and gain it all back again! Fad diets don’t work. If the diet is temporary instead of a permanent change in your eating and lifestyle, then the weight loss will only be temporary too. Solution: Make permanent changes in your daily eating that you can stick with and that include a variety of food. 2) Diet Pills: People spend BILLIONS of dollars a year on diet pills! And many people DO lose weight fast by using them. The diet pill companies usually claim they help speed up your metabolism, reduce your appetite, or both. and 2) What happens when you stop taking the pills? Pills are just a temporary fix for long term problem of poor habits. Learn to TAKE CONTROL of your life, and make permanent changes! Don’t waste your money on diet pills. 3) Starving yourself: Sure, you will definitely lose weight fast! But you will lose fat AND muscle which will drastically slow down your metabolism…starving yourself puts your body in survival mode – it will want to hang on tightly to every calorie it can get. Eventually, you will start eating again (or you’ll die). When you do, your body will turn even more calories to fat. Muscle burns calories, so if you have less muscle, you will not be using as many calories. Solution: Realize your body MUST have fuel! Feed it properly and it will burn the fat away! 4) Doing only cardio exercise: What??? I can see the shock on your face. Sure, there are a lot of people that stay skinny by running and walking and it lasts. This is certainly the least of the "evils" listed here. The benefits of cardio exercise are too many to list here… It burns calories, and it speeds up your metabolism, but if you are not doing some type of strength exercise to maintain/build muscle, doing only cardio will burn away muscle as well. As you get older, you gradually lose muscle mass if you don’t do something to preserve it – “Use it or lose it!” So as you lose it, you’ll burn less and less calories. 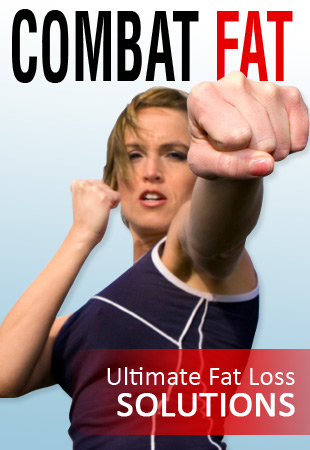 There are many ways to lose weight fast…but they also do not last! There are many ways to lose weight the right way. Keep reading to find out what works for you...let me help you find YOUR WAY! Return from "lose weight fast" to "Exercise Guide to Lose Weight".